Angola is a country located in southwest of Africa in the world map. Its name derives from the Kimbundu word for king, 'N'gola'. It was first settled by Bushmen hunter-gatherer societies before the northern domains came under the rule of Bantu states such as Kongo and Ndongo. The country is the second-largest petroleum and diamond producer in sub-Saharan Africa; however, its life expectancy and infant mortality rates are both among the worst ranked in the world. There are 38 cities all total. A very rich country in natural resources: Diamonds, Oil, Iron.It is a Birth place of the dreadlocks hair style. The official motto of Angola is Virtus Unita Fortior - a Latin phrase that means Virtue is stronger when united. 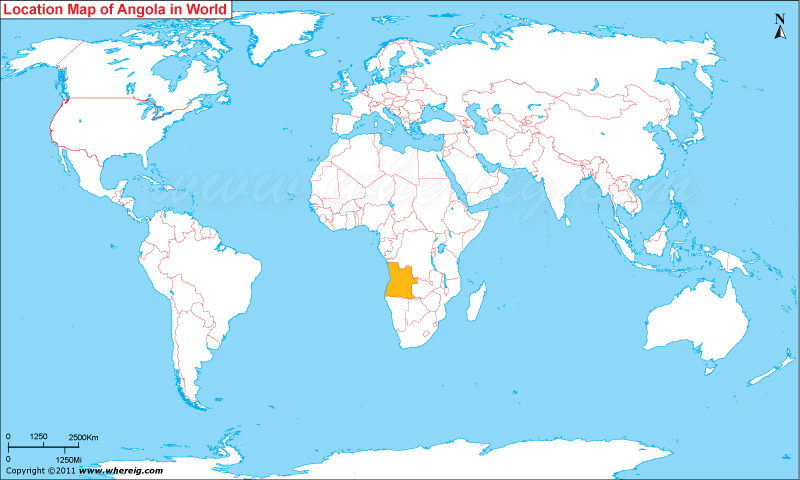 Where is Located Angola is a country located in the Africa Continent.